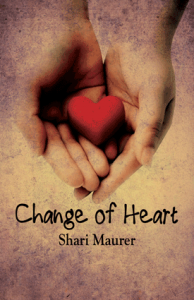 This month I'm honored to be interviewing Shari Maurer about her debut novel Change of Heart. First, a little about Change of Heart to catch up those of you who haven't heard about it yet. 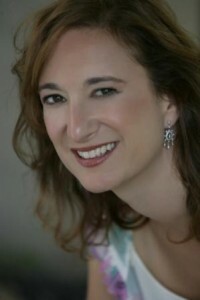 Now that I have you teared up and completely hooked, please welcome Shari Maurer to Heather's Odyssey. Hi Shari! I'm going to start with the tough questions first. Daria Snadowsky, author of Anatomy of a Boyfriend raves that Change Of Heart is an honest story about everything that really matters in life. That sounds like some really heavy material for a novel. Was Change of Heart difficult to write, either on an emotional, or craft level? First I want to say that as heavy as the subject matter sounds, the book is not a heavy read. There are moments of lightness and people have been telling me it's the kind of book you can read in a day or two. And no, it wasn't hard to write. The more research I did, the more the story shaped itself (of course, the high levels of caffeine in my system probably moved things along, too!). 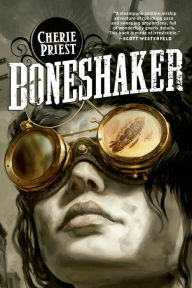 I loved the light hearted moments of the book and have to agree with your friends, it made for a quick, very enjoyable read. What was your favorite part of the writing process? I love developing the characters. You get to create a whole backstory for these people. As I drive around, they'll have imaginary conversations in my head. Sometimes I'll do pretend journals for them or write letters between them, particularly when I'm stuck. I love the idea of writing letters between your characters for inspiration! Can you tell us a bit about Change of Heart that we may not know from the information on your website? I stole a lot of the character names from people in real life. And while Emmi and her brothers have the same family structure as my kids (girl, boy, boy) and the same first initials (my kids are Elisabeth, Josh and Eric. Emmi has Jeremy and Eli), most of the resemblance ends there. Well, except for the fact that Emmi's brothers make her crazy with their constant wrestling and Yankee Game watching. That kind of happens in my house, too. Do you have another novel in the works? A sequel or stand alone perhaps? I have another novel completed. I love it and we're hoping it'll find a home soon. And another novel is being written. First draft is completed and my goal for this summer is take this mediocre first draft and turn it into something special. Both of these are stand alones, but I'm starting to get readers asking me for a sequel to Change of Heart, so you never know. Sounds very promising! I enjoyed Change Of Heart so much that I'd love another book from you, even if it isn't a sequel. So tell me, is there anything in the publishing process that surprised you? How important making writer friends would be. I always thought of writing as a solitary endeavor, but the best thing I have done all year is to become a part of the Class of 2K10 and the Tenners. And for anyone who is even thinking of doing anything in children's publishing, Verla Kay's Blueboards are an unbelievable resource for information and support. I couldn't agree with you more there. The writer community is a fantastic, supportive one that always inspires me. Any closing thoughts to leave us with? Please consider registering to become an potential organ donor. If there's one thing I've learned through the research I did, it's how few available organs there are and how long people wait, often dying in the process. We hope you never need it, but if you do, it would be great to know you could help up to 8 people. For more info on how to register in your state go to: http://www.donatelife.net/. And tell everyone you know! That sounds like great advice. After reading Change Of Heart I became an organ donor and I'm sure many more people will too. It's an amazing thing you've done Shari by opening our eyes to this. Thank you so much for joining us and sharing your story. I'm recommending Change of Heart to everyone I know as the must read book of the year! Great interview! So many moments where I thought "Oh, that's so true," or "Wow, that sounds awesome! I'm so excited!" I have a new book for my wishlist...thanks, Heather and Shari! Thanks Shannon and Kari. You'll love Shari's book it's really something special. Thanks, Heather. I love reading about new books and authors. It's wonderful that Shari has been able to link to such a worthwhile cause. Heather, please stop by my blog when you get a chance. I have an award for you today. It is wonderful isn't it Lisa? I love authors who support a worthy cause! Thanks Patricia. You'll love Shari's book, it's excellent. An award, aw, thank you. I'm off to check it out now! 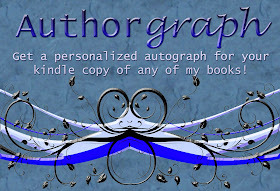 Heather, Thank you once again for sharing yet another incredible author. And for tearing me up on my flight to Detroit. Shari, I am so excited to read your book, and love your plot. Thank you for sharing your tips on character development too. Writing a journal and letters between the characters... what a great idea! I will try that. And yes ladies, I am a registered donor! They make it easy to register when you get your drivers license in Washington. Also.. thank you for the link to buy your book. Great idea and will be honored to have an autographed copy. I actually tried, but my wallet is stuffed under the seat in front, and I am squeezed in the middle row. Not to worry... this is one book I must read! And landing will be in 4 short hours.